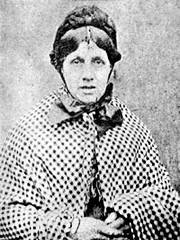 I came across the story of Eva Pierlo while researching Christiana Edmunds' time in Newgate prison. The pair were cellmates and Christiana complained to the prison governor about sharing with Eva, a woman accused of bigamy, on the grounds that she had a low moral character. This is rather ironic when you consider that Christiana was accused and found guilty) of one count of murder and three counts of attempted murder! Anyway, while the details of Eva's case are scant, I think her story is one worth mentioning. 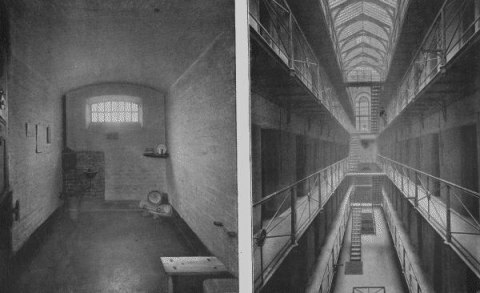 Eva shared a cell in Newgate Prison with the notorious Christiana Edmunds. "This compelled her to state her case to the court in her own way and, judging by the result, her oratorical powers must be of no mean description." Reading her trial transcript, it is clear that Eva was a confident woman who was frank and open about the charge she was accused of. She had no problem in admitting to bigamy, for instance, but she wanted the court to know the full details of her two marriages before they judged her actions. Eva had married her first husband, Albert Pierlo, on 8 December 1870 at Aldgate Church in London. With no home of their own, the newlyweds spent the first two weeks of their marriage as lodgers in the home of a friend called Mary Ann Carter. In court, Mary Ann testified that Albert had repeatedly "struck" and "ill-treated" his new wife, even though Eva was financially supporting him. In fact, Albert was in the habit of extorting money from Eva: taking first her personal allowance of 17 shillings per week before squandering £80 of her life savings on a failed business venture in Hamburg. When the couple returned to London, Albert pawned all of Eva's clothing and then disappeared, leaving her in a state of personal and financial ruin. Less than nine months after marrying Albert, Eva wed William Frederick White. In court, Eva openly admitted that William had married her "out of pity" and to prevent her from being "ruined." Soon after, Albert heard about the wedding and informed the police, prompting Eva's unexpected arrest. The jury found Eva guilty of bigamy but strongly recommended mercy. Despite claiming that bigamy is a "very serious offence," the judge agreed with the jury and sentenced Eva to serve a mere three days in prison. He also informed her that she could take out a magistrates order to protect her property and her earnings from Albert, a man he labelled as her "predatory husband." After serving her three-day sentence, Eva disappears from historical record. Perhaps she followed William to India (where he went after her arrest) or simply got on with the rest of her life. Whatever the case, she certainly did not return to Albert. Leeds Times, 13 January 1872. 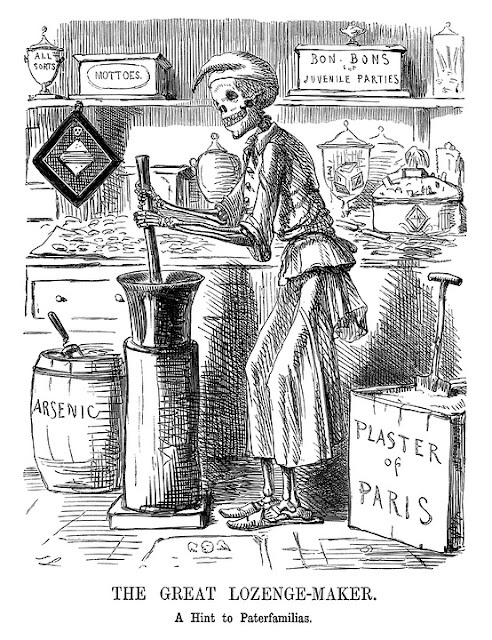 The Times, 10 January 1872. Read more about Christiana and Eva in The Case of the Chocolate Cream Killer, available to buy here.